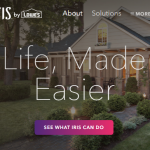 After growing increasingly frustrated with the evolution of Iris V2, the IrisUsers family has decided to part ways with Lowe’s. Don’t get me wrong, I love Iris, and so does the family, or at least we used to. V1, the original Iris was great, especially for its time; plus it was everything that the new Iris is not. It was stable, supported a decent selection of devices, and was easy to use. V1 also had a web portal, local processing, cellular back up, and a rechargeable battery backup. V2, the new Iris platform, cannot in good conscience lay claim to any of those things. After 6 months, V2 is still riddled with bugs, missing or incomplete features, is lacking in stability. It is still a closed and proprietary ecosystem run by a mysterious team who treats paying customers as beta-testers. In short, V2 has been nothing short of a train wreck, both for Lowes and more importantly, for the IrisUsers family. Here’s our story on why we left Iris. My marriage to Iris began back in September of 2013, roughly a year after the launch of what is now referred to as legacy Iris, or V1. Our system was small to start; a hub, Smart Plug, and GE Outdoor Module, but it began our journey into the land of home automation. For us, back in those days, Iris was merely a means to control Christmas lights, both inside and out. But it grew, slowly at first, gaining momentum as we explored the many new things that it could do. By the end of that first year, our system had grown to over 30 devices; including a thermostat, door locks, keypads, and other smart devices. Each new feature introduced to the platform seemed to concurrently break an existing one. I was bit by the home automation bug the moment I first un-boxed the original Iris. Having a near real-time view on our homes electrical usage, quickly glancing to find unlocked doors or open windows became a household fixture. But we soon hit the limits of V1 literally having maxed out the size of the configuration file used by the hub. This meant that we would have to move to V2, and do it soon! We did so with the foreknowledge that key features were not yet available in V2. It was an acceptable compromise, or so we thought at the time. Serious issues began to appear almost immediately with V2, and grew more severe and widespread as more devices and rules were added to the system. Infrequent software updates which were supposed to help, more often than not, made matters worse. Each new feature introduced to the platform seemed to concurrently break an existing one. Scenes, a supposed replacement for both device groups and system modes turned out to be not only restrictive and inflexible, but highly unreliable as well. In the IrisUsers household, in almost every instance when a scene was run, one of more devices would fail to respond to a command. The result was lights being left on all day, doors not locking, or the heat not turning on. This was an almost daily occurrence and the family was starting to feel the pain. 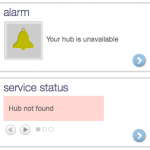 Then there was the week when over 60 devices lost connection from the hub and had to be force removed, then re-paired, only to have the same devices disappear from the system the next day. All due to buggy code and poor internal QA testing procedures. This became an all-too frequent occurrence. As a technology professional, Iris become a source of personal embarrassment; it caused more trouble and frustration for everyone who had to interact with it. Daily occurrences of disconnected devices, offline hubs, scenes which never fully ran, were just some of issues we dealt with. Eventually, fixing Iris turned into a nightly routine known as the “Iris Dance” by my very understanding long time girlfriend. The Iris Dance consisted of roaming the house and pulling batteries from offline devices to reconnect them. Z-wave devices were even more problematic. “No Switches!” as I would frequently yell throughout the house as a signal to the family to not use any wall switches as Z-wave exclusion mode was active. From the very moment I hit “Remove Device” I knew something had gone terribly wrong. It took a moment for me to realize the magnitude of the events which had just transpired. But then I it hit me. 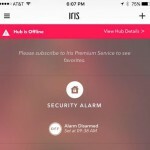 In just a few seconds all 218 devices had vanished from Iris. But why? Was it a system glitch? Did something crash? It would take until the next day for Iris support to provide a clue to the mystery. Their answer? The hub was deleted in the mobile app. Yes, that was the offical answer from support, that I deleted the hub. Or was it just a cover for a poorly designed mobile app? Concerned, I pushed support for answers as to how I could have deleted the hub when I was clearly in the remove device screen. The response was the same, I had somehow selected the hub and hit “Remove Device”. I would have been willing to accept that as gospel had the device I been managing not been near the end of the device list under “K” for kitchen. But even assuming that is what really what happened for a moment, why were there no safeguards? Seriously, what kind of “smart home” system is built with no safeguards, no means to alert a user that they are unwittingly about to wipe out hundreds of devices with a single button press? I then took another look at the mobile app and put my mind to ease. There were no warning messages, no confirmation dialogs, in fact, no visual indication of the name of the device I was actually deleting!! When I raised the point to support it was suggested that I be more careful in the future. Seriously? The message from the family was clear, they had enough. 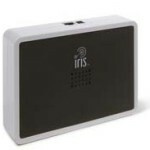 Our second generation Iris system, at 218 connected devices, was easily one of the largest in operation. Moving to another platform was a decision that could not made purely of haste or frustration. It also would not come easily nor quickly, and with many devices being locked to Iris, a move would not be cheap. What it was however, something that had to be done. The decision to dump Iris was joyfully unanimous, but also a choice we all knew would require some sacrifice. The family, so beaten down by the never-ending problems with Iris agreed that the pain and expense of changing systems really wasn’t much of a sacrifice after all. Stay tuned for part 2 to find out what system we chose and why. The V1 hub, the most stable Iris system to date dies on June 30th. If you haven’t already heard the news, Lowe’s today sent an e-mail to all users with an active Iris V1 hub. The news wasn’t good. The Iris V1 shutdown is scheduled to take place on June 30th. 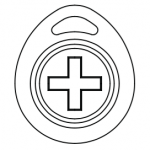 Like the Revolv hub, Iris V1, the original but more feature complete and stable of the Iris systems will die June 30th. As with the recent announcement related to cellular service, Lowe’s has generously announced that the last 2 months of V1 will be free. At least Revolv users got a year before their hubs turned into bricks. The announcement also delivered more, albeit commonly known bad news. The Blue Line Meter Reader will not be supported in V2. 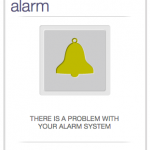 This means customers who relied on whole-house energy monitoring (and cell service) in V1 are out of luck. Since V2 doesn’t support power usage tracking currently, support for this device wouldn’t have made a different. Now is a great time to see what the competition has to offer. Truthfully, Iris is far from the only system on the market. Is it is also far from the best. There are many alternatives out there. Take some time to research the competition. SmartThings, Insteon, Staples Connect, and even Wink are suitable alternatives. Find a system that works for you. When researching, we recommend reading neutral and negative reviews first. They provide excellent insight into the sort of problems that you may face when changing to a new Home Automation system. But, don’t believe everything that you read. Many internet reviewers are showered with free devices and swag in exchange for being a user-advocate or for writing glowing reviews. This is true for sites like Amazon, Best Buy, and even administrators of a certain Iris discussion forum.